The Peace congress was quite a culmination of 15 years of solid training and implementation of the Peace Foundation’s programme for peaceful resolution of conflict! 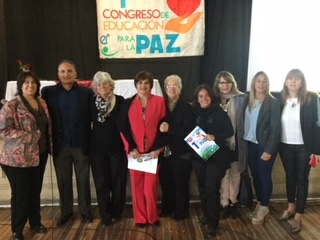 Coordinating team of the Peace Education Congress. 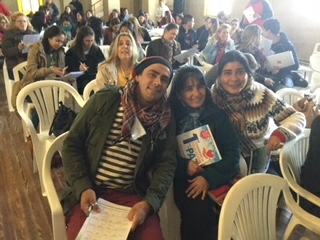 A brilliant and committed local team proposed some months earlier to run this ambitious event and carried it off successfully, providing at provincial level (Entre Rios) a forum for 300 teachers and students to showcase their efforts at implementation and to hear how the education department has taken on the programme as an integral part of their curriculum under the heading of “EnREDarse”. Victoria in particular has the honour of having organized “marches for life and peace” for five successive years, while in Buenos Aires, for almost as long, the facilitator organizes marathons annually that are centred on the theme of peace-building. On the second day of the congress, the participants could choose to attend workshops on such topics as Resilience, Prevention of conflict for secondary school level, and applications of the programme at kindergarten level. Martin Luther King said: “We have learned to fly like the birds and swim like the fish but we have not learned the art of living like brothers and sisters”! Our programme says: If we can train people to wage war, we can train people to wage peace”! The aim of promoting a culture of peace and violence prevention is at the heart of our work and we have found a perfect pedagogical tool for teachers to apply in their classrooms, as well as for community organizations such as parishes to improve peaceful collaboration and dialogue. 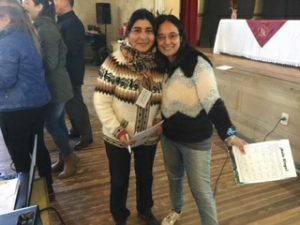 My introduction to the Peace foundation took place in a DLC conference in the United States in 1999 and I enthusiastically adopted it as a useful medium for Dominican Sisters in their educational institutions all through Latin America. Of course the principal success story has been in Argentina and Bolivia, where we have several teams of facilitators now able to train others. Misean Cara and Trocaire funded these efforts in both countries for several years. Sr. Ana OP and Cecilia. The congress was held in the Escuela Normal, a huge and elegant building that overlooks the river Paraná. 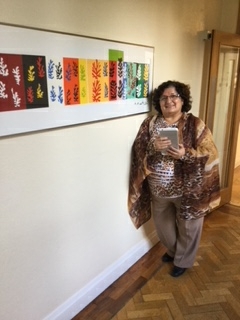 Eminent speakers such as Graciela Bar ex-national senator gave outstanding insights into current educational reforms and Doctor Margarita Gomez, a native of Victoria who lives in Brazil, outlined the teachings of Paulo Freire on the pedagogy of the oppressed. There was huge support for the idea of having a second congress in September of 2018. It happens that the Argentina government is hosting an international congress for Peace in that month and the representative of the commission for conflict resolution, under the Ministry for Justice, has expressed interest in our Peace programme so new developments lie ahead. Obviously setting up a congress brought us up out of invisibility!